The high level of comfort combined with an all-round feel-good package makes our serviced apartments attractive, both for leisure travellers who are seeking more than just a hotel room, as well as for business travellers who want to feel at home while they are on the road. Due to our staggered rates, our serviced apartments are particularly good value for long-term guests – the longer the stay, the cheaper the price. 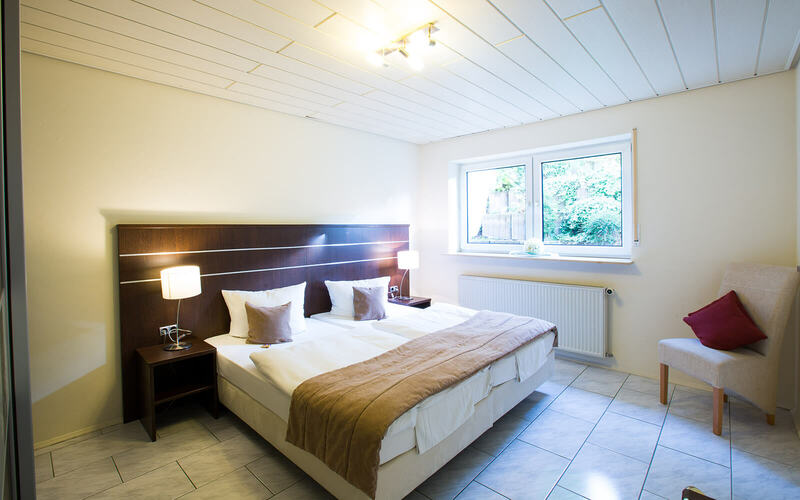 The serviced apartments are located either beside the hotel or in one of our two centrally located city apartment buildings. 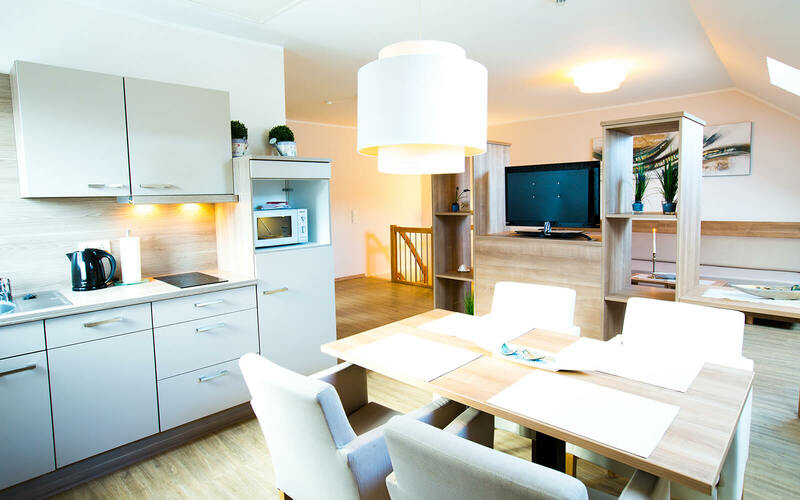 We have a range of options including single, double, family or maisonette apartments, with or without balconies and the Hotel Am Wartturm team would be delighted to assist you in finding the right option for your taste and budget. 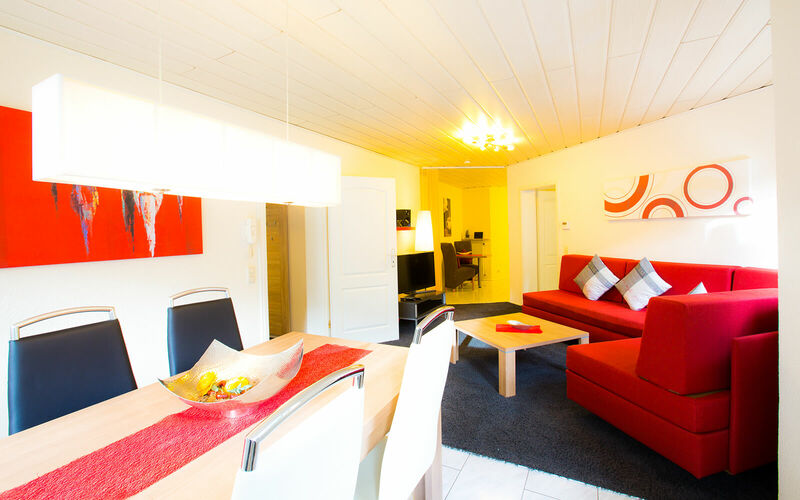 This Comfort Apartment is located directly beside our hotel and has complimentary parking. One of our Classic Studios and three of our Comfort Apartments are situated in our new apartment building directly in the town centre. 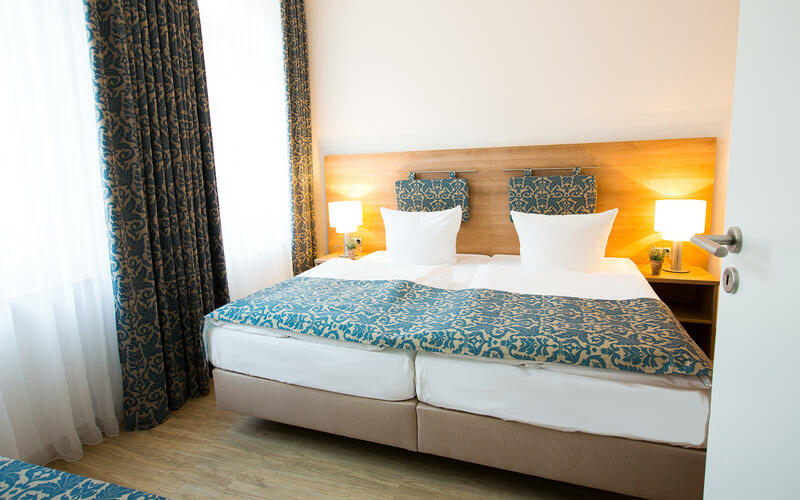 Only 100m from the vibrant Maximilianstraße, the shopping mile and the pedestrianised zone you will find numerous restaurants, shops as well as the most popular attractions such as the Kaiser cathedral. Discounted parking is available in the adjacent carpark for only € 3 for 24 hours (located 150m away). 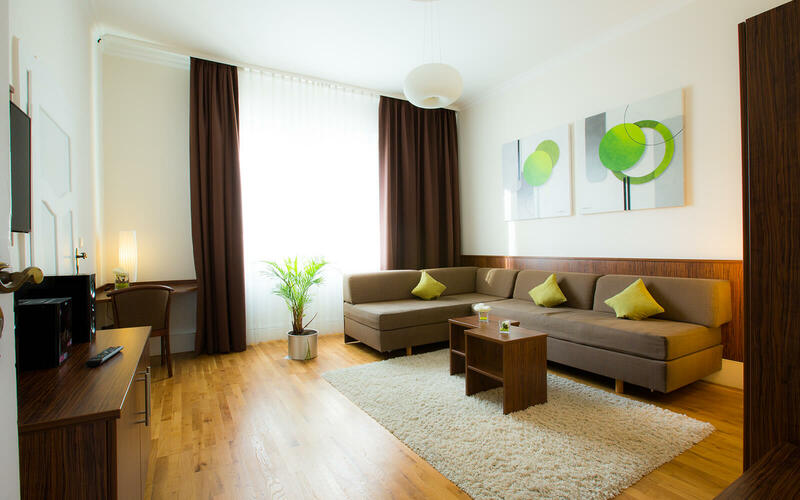 One of our Classic Apartments and one of our Comfort Plus apartments can be found in our beautiful art nouveau apartment building. Whilst they are also located close to the town centre (only 600m to the pedestrianised zone and 50m to the main train and bus stations) they are nonetheless situated in a quiet area. You will find numerous restaurants and shops within walking distance. Discounted parking is available in the adjacent carpark for only € 4 for 24 hours (located 150m away). On-street parking may also be possible free of charge and is subject to availability.